We’re within 10% of reaching our second fundraising goal and I’d like to take this opportunity to thank everyone who has helped us get this far. While we’re a little shy of the additional $15,000 we wanted to raise, we’re still in pretty good financial shape going forward. While donations have slowed down, they haven’t stopped coming in and I trust we’ll reach our goal before long. In round numbers, since we started fundraising last spring we’ve raised over $130,000 in donations. Impressive for a small lake association. We generally don’t single out individual donors for recognition, but from time to time we do and I’d like to acknowledge a recent generous donation to our Dam Purchase & Repair Fund from the Whitefield Lions Club. It was both unexpected and greatly appreciated. I hate to say it but I wasn’t really familiar with the Lions Club and what they do so I read up about it. It’s an international, non-political service organization established in 1916 with currently over 1.7 million members world-wide. 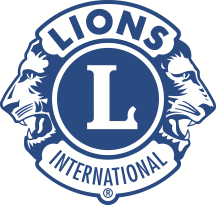 The Whitefield Lions Club has been serving the towns of Whitefield, Jefferson, Windsor and Somerville, Maine since 1953 and is part of Lions Clubs International Maine District 41. Thank you Whitefield Lions! This entry was posted in Association News, Fund Raising. Bookmark the permalink.